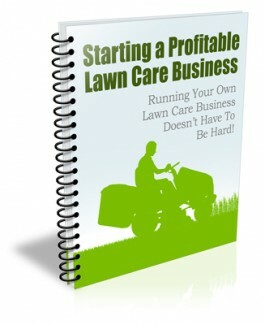 Welcome to your first Starting a Profitable Lawn Care Business. 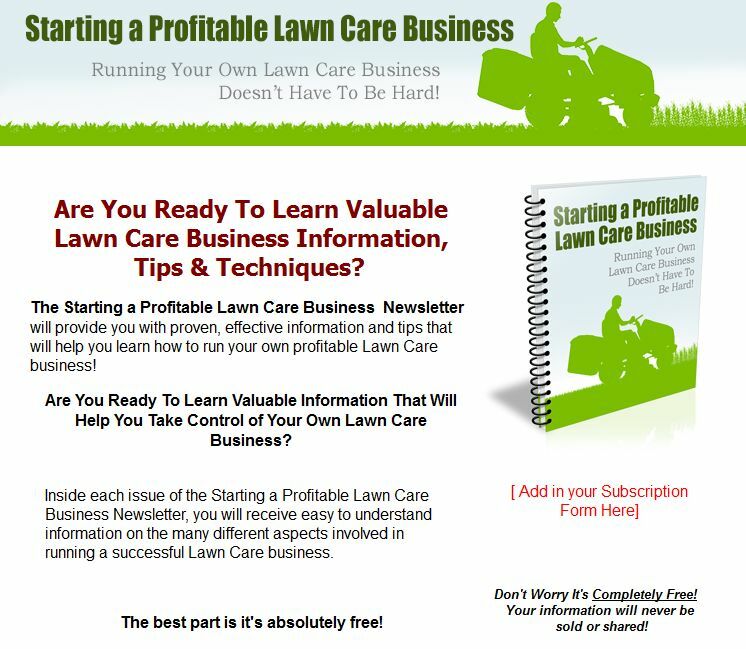 In each issue of this newsletter you’ll learn valuable information that will help you start and manage your own successful lawn care business. Many of us dream about starting our own business. If you work for someone else, even if it’s doing something you love, there are always issues that you have to contend with. If the work you love is lawn care, it’s common to see problems with how the people you’re working for are running the business and it makes you think, “Hey I can do better than that”. The allure of starting your own business is that if you’re successful (we assume you’ll be), you’re the one making money off of the work of others. So maybe it’s time to stop imagining, get out there and start your new business. There are some steps to follow in order to accomplish that dream. The most important thing to remember is that a lawn care business is just like starting any other small business and you’ll need to follow certain procedures that any other startup does. A visit to the small business association in your town is always a good first step. They will have literature, free courses and often offer consultations with retired people who know all about how to start a business. If you can get that kind of help, you’ll get a real world education on what you must do to get your new business up and running. One big step any mentor will advise you to take before you do anything else is to write a business plan. This is not as difficult as it sounds. It’s simply an organized documentation of your dream business combined with some real world research on how you’ll make it a reality. The primary purpose of your business plan is to give you something to take to investors, to a bank or some other lending institution to get funding to start your business. If you have all the money, you need or if you already have the equipment you need to start your business, maybe you don’t need a business plan. However, it still is a good idea to write one. The process will force you to create a five-year plan so you set out on day one on a path to growth and success. Even if you have enough money and equipment to get started, you’ll want to grow and expand and that might take a small business loan. That is where having a business plan in place will pay off. Before you quit your “day job”, think about the steps you’ll take to make your new business profitable as quickly as possible. You may need to spend a few months while you’re still employed by someone else building your equipment inventory, planning for a storage facility and landing customers who will give you their lawn care business when you break off from the world of being an employee and launch your business for real. 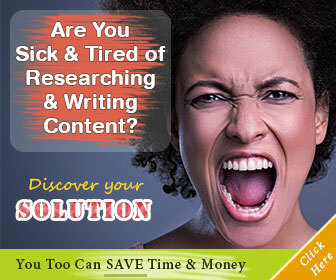 The research you do now before you make the big step of setting up a new business will be a life saver down the road. There is a lot to learn such as whether you’ll incorporate your business or just pick a business name and get started. You should spend some time learning about how to keep the books, do the accounting and manage both the money you make and the bills you’ll pay as a business. You can think through if you’ll employ others and get some training in what involves as an employer both financially and legally. There is more to running a lawn care business than gassing up the mowers and going to work. By doing your groundwork work while you still have a paycheck coming in, you vastly improve your chances of success because you’ll “hit the ground running”. Make sure you look for your next issue soon. We will be talking about the joys and pitfalls of working for yourself.